And you thought parallel parking was hard! 1. Being able to sense road children, children who look like the road: These chameleon-like children blend in perfectly with the road and pose a serious logistical challenge to engineers hoping to perfect self-driving cars. 2. Driving past a junkyard filled with rusty cars: Witnessing fallen comrades in such a dilapidated state would surely prove to be a difficult and emotional test for any self-driving car. 3. Knowing what to do at a stop sign that still has “BUSH” written in graffiti underneath it: These are relics from a time when people were frustrated with the policies of President George W. Bush, but it’s unlikely self-driving cars will know this. 4. 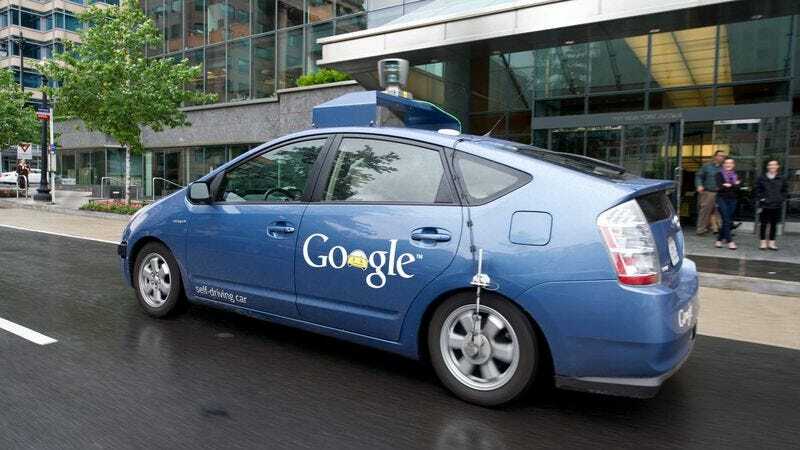 When its owner orders it to act like a normal car: No matter how sophisticated self-driving cars become, explicit orders from the driver to behave “just like a normal, non-self-driving car would” creates an impossible paradox. 5. Passing sad-looking people standing near puddles on a rainy day: Would self-driving cars understand that accidentally splashing sad-looking people who are standing on the sidewalk on a rainy day will make them even sadder? It’s doubtful. Maybe one day, technology will advance to the point that they are able to avoid the puddles and not splash these sad people, but for a while it’s probably going to be a big problem. 6. What to do if passengers kiss each other: Should it ignore this intimate interaction and continue to do its job? Should it turn on music? It’s hard to say how a self-driving car would react in this situation. 7. The 2000 Baltimore Ravens’ Defense: Rod Woodson. Ray Lewis in his prime. Jamie Sharper. Peter Boulware. Need we say any more?